If you are a resident of the Philadelphia area, chances are that, by now, you’ve heard of the giant wedding brawl that took place this past Sunday (10/7/12) at the Sheraton Hotel in Society Hill. Apparently, two separate wedding groups were involved and one of the guests, a 57-year-old man, died of a heart attack during the ordeal. Although at least three people have been arrested for their involvement so far, there could be other arrests as officials continue to investigate – according to Lt. Ray Evers, spokesman of the Philadelphia Police Department. Although these charges are fairly straightforward, you may be wondering about the statutes themselves, as well as where you can find them in the state's legal code. Where can I find these state laws? What is the Law Statute Symbol that looks like a Double Letter S? 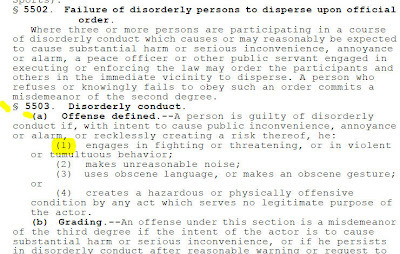 That symbol, which looks like this §, is known as a section sign and is frequently used in legal code. 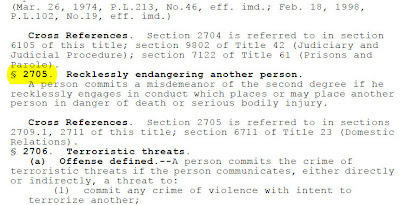 For example, 18§2705 refers to Title 18, Section 2705. 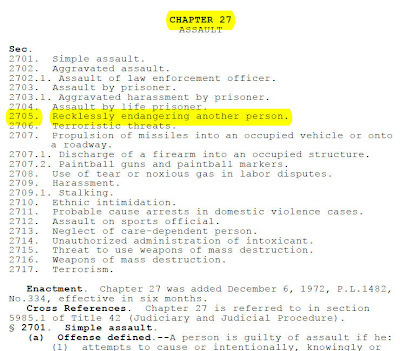 This section is part of Chapter 27 – Assault. 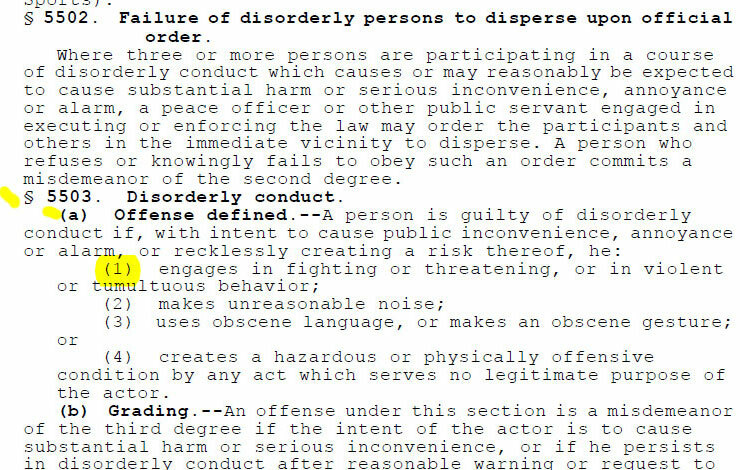 You may have noticed that, on the criminal docket referenced above, use of the section symbol twice in a row, like this §§. This refers to a subsection. 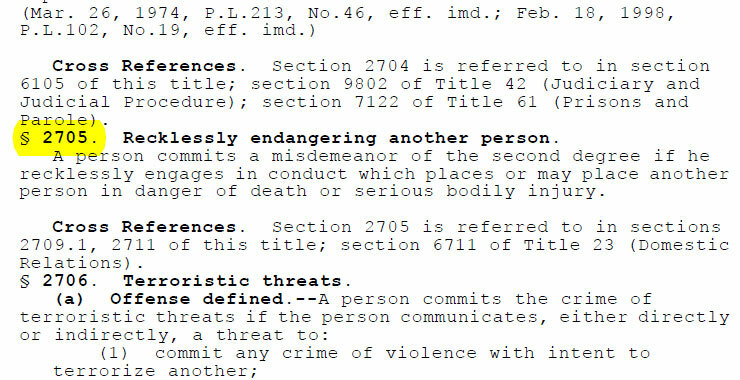 For example, 18§5503§§A1 refers to Title 18, Section 5503, subsection a, paragraph 1. This might also be cited as 18 Pa.C.S. § 5503(a)(1). The “Pa.C.S.” part is simply shorthand for “Pennsylvania Consolidated Statutes”. All of the charges in the docket referenced above can be found in 18 Pa.C.S. - CRIMES AND OFFENSES. 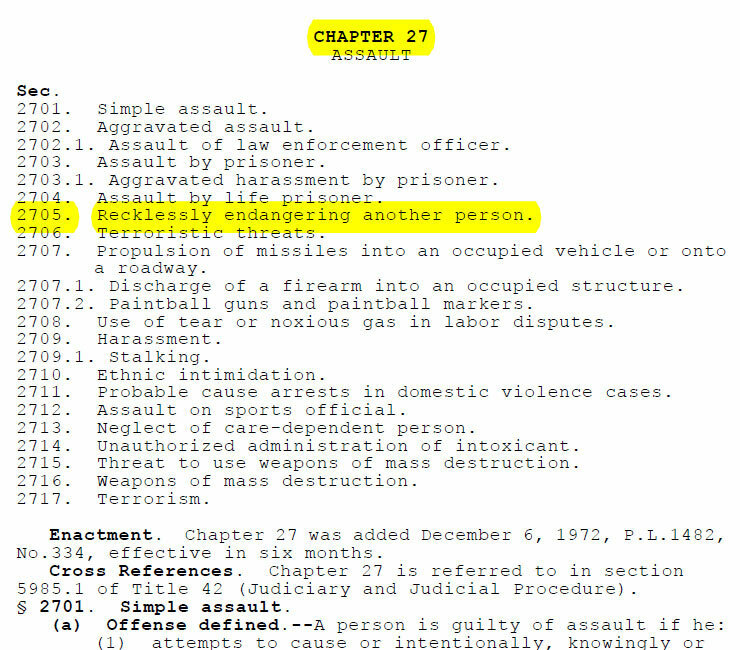 Here is a list of those charges as well a link to the relevant Section on the PA General Assembly’s website. This post is intended for reference/entertainment purposes only. It should not be used in place of qualified legal counsel. Furthermore, it should not be construed as advice to take, or not take, any specific action. The writer of this post and the operators of this blog are in no way associated with any of the parties referenced herein.